I love a good beef stroganoff….and I’m always looking for ways that I can make some of my favorite meals faster. 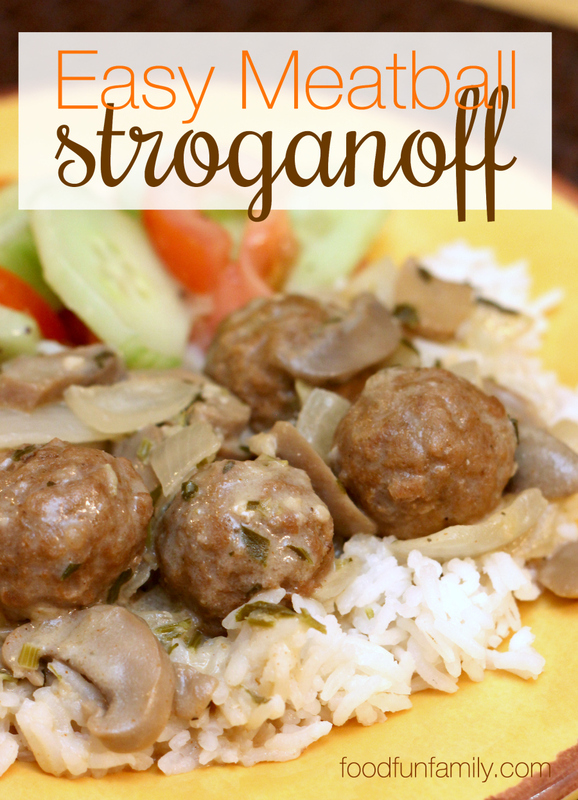 Stroganoff is one of those meals that can be cooked super-slow (I love my crock pot version!) or labor-intensive (think: fresh mushrooms, sliced steak, and slow-thickened sauce on the stove top). 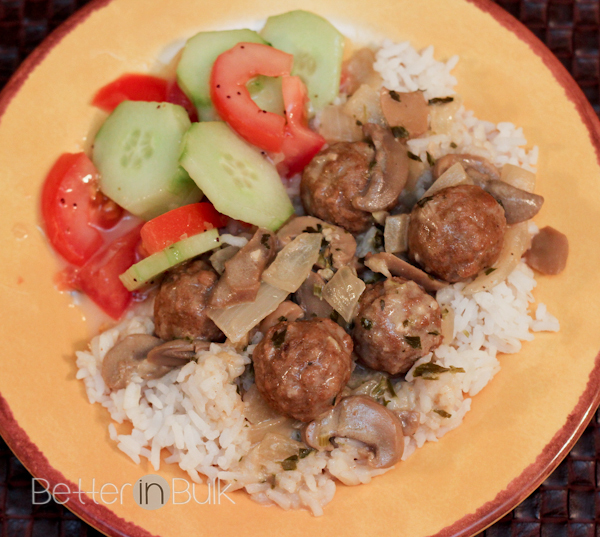 While this easy meatball stroganoff recipe may not be as fancy as others that I have tried, it certainly fit the bill and satisfied our tummies! 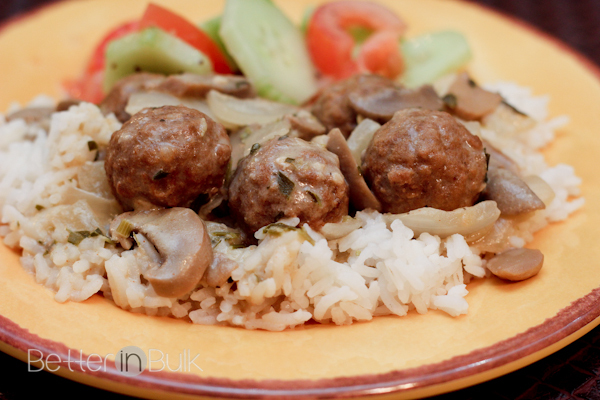 I love using meatballs in my stroganoff because it makes the preparation go so much faster – this recipe took 15 minutes from start to finish (yes, even with the pasta or rice! Just start a pot of water on another burner and the pasta or rice can be ready at the same time as the stroganoff). Meatball stroganoff is equally delicious poured over egg noodles or white rice – use whatever floats your boat. Or eat it alone. No one is judging. Microwave meatballs on a large plate for about 3 minutes. Set aside. In a large frying pan, saute onion and mushrooms in oil until onions are until tender. Add broth, mushrooms, salt, and ketchup. Toss meatballs in flour and then add them to the saucepan. Cook and stir until mixture starts to thicken. Add sour cream and stir until meatballs are heated through. Serve over hot, cooked rice or noodles. 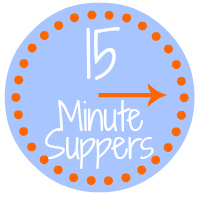 I served my easy meatball stroganoff recipe with a super quick salad of sliced cucumbers and tomatoes with an onion vinaigrette. It was perfect! This meal looks mazing. I don’t care too much for the mushrooms so I probably would leave them out. But would love to try making this. I love this idea. I like to keep meatballs in the freezer because they are perfect for a fast dinner. What a great shortcut version of the classic! Yum!